So, you want to go on a holiday but you’re not sure where you want to go. There are so many countries, regions, cities and towns in the world that just making this simple decision can be a bit overwhelming for some. I know I find it hard to pick where I want to go next from my ever growing bucket list. Maybe you’ve got a list like me and you’re having trouble picking just one place to spend your holidays. 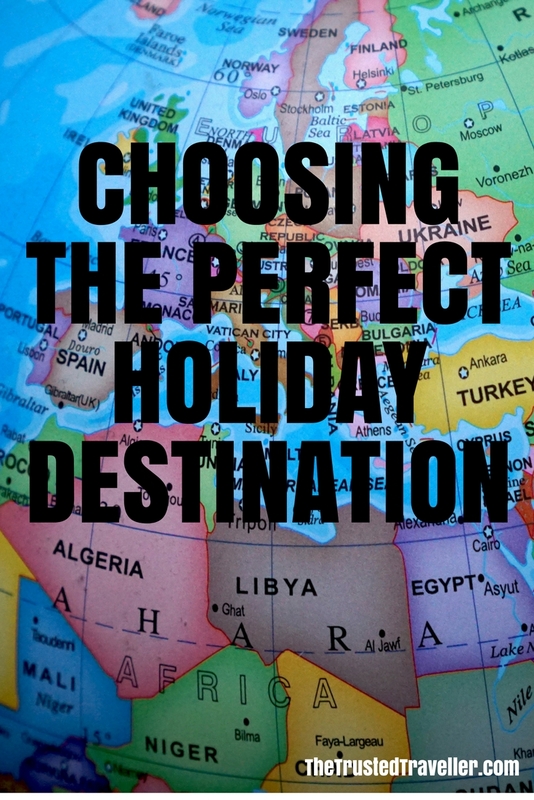 Or maybe you don’t have a list at all and are completely clueless about where to start in terms of choosing the perfect holiday destination. Read on to find out how you can narrow down your list, find a destination that is perfect for your needs and begin the travel planning process simply and stress-free. Firstly, think about what you want to get out of the holiday and write it down. Maybe you want to come back completely relaxed, or you want to see as much as you can with the time you have, or maybe you want to learn more about something that really interests you. Write down what it is you’re looking to achieve from this holiday, it may be just one thing, or a whole list of things. This is the first step that will help guide you to picking the destination that is perfect for your next holiday. If you’re looking for a relaxing and peaceful holiday, you’re not going to choose a big city like New York, you’ll choose an island, beach or secluded mountain location that lets you completely relax and come back feeling rejuvenated. An all-inclusive package vacation isn’t for everyone, but for those who don’t want to have the stress of planning out each meticulous detail, they are an excellent choice. Maybe you hate the idea of spending days laying around relaxing with just a good book for company and prefer to be more on the go and make the most of your time. Then an island isn’t for you. Instead choose a destination with lots to see and do, a big city maybe or a whole region where you can move from place to place exploring. Finally, maybe you’re after total cultural immersion to learn a language, learn to cook the local cuisine or really get under the skin of a place’s history and culture. These experiences can be had anywhere in the world, it really depends on the exact type of experience you’re after. For example you want to learn to cook Italian, then go to Italy. Or you want to learn to speak Mandarin, then go to China. At this point it’s important to do some research on some of the destinations that suit your holiday needs. Search you favourite blogs (like this one!) for articles or do a simple Google search for some of these destinations and read through the articles to see if they are really what you have in mind. Choosing when to go is a very important factor for a lot of destinations. If you’re wanting to go skiing for example, then summer in Japan wouldn’t really work out as obviously there is no snow to ski on. Same goes if you’re after a beach holiday. The middle of winter on a tropical island probably isn’t the best time to really enjoying it to its full potential. While travelling to a destination in it’s off season might seem attractive for the cheaper prices, how cheap is it really if you can’t do what you went there for in the first place. Visiting festivals and major sporting events around the world is also a good example here. Do a Google search to find out when they are on, if tickets are still available etc., so you don’t miss out. If it’s not Baseball season in the USA, you’re unlikely to be able to catch a major league game while you’re there. Then again, it may be that you top priority is a cheap holiday. In this case, avoid major holidays, festivals, events and travel off season to get the best deals and cheapest prices. A little bit of research based on your needs will go a long way to making this the perfect holiday. Still can’t decide? Maybe you have a list of a few destinations but you just can’t pick one. Well, why not ask your friends and family what they think. Someone you know may have been to one of these destinations before and can give you some insider information that may make this destination a front runner or boot it off your list all together. Remember to always take others opinions lightly. What interests and makes a good holiday for one person doesn’t necessarily suit all. So think about what they say carefully and take on-board what you think will help. Travel bloggers (like me!) also love to received emails and messages from readers too. I’m always happy to help a fellow traveller and reader plan their perfect holiday. Feel free to leave a comment below or email me. I am a travel blogger for a reason and that is, because I love to travel and share my experiences with the world. Tell me which holiday destination you have picked and why? Besides the weather, my goals, and the type of activities I want to do, I also take into account how much time and money I have available to decide on my destination. In less developed countries, you can travel longer for less money, but your trip is likely to be more “adventurous” and you may need to rough it at times. Thank you Marie-France. I will be writing a lot more on this subject as part of my travel planning series over the coming months. I totally don’t have the talent on what to choose a perfect holiday destination. Your post is great! It gives me the guts to enjoy my holidays now. Thank you so much. Thanks Marie! Really appreciate your comment. It’s definitely one of the hardest parts of the travel planning process. I always like reading more travel planning information. Thanks Charles. There is definitely a lot of travel planning article coming up over the next few months so be sure to pop by from time to time. Sounds like the perfect plan Els. One that I think I may have to do myself one day. I have a bucket list and whereever my work contracts take me in the world, I will then try and tick of my list within that country and the surrounding countries. Thats a great plan Tammy. You may as well make the most of that time you have to travel for work. 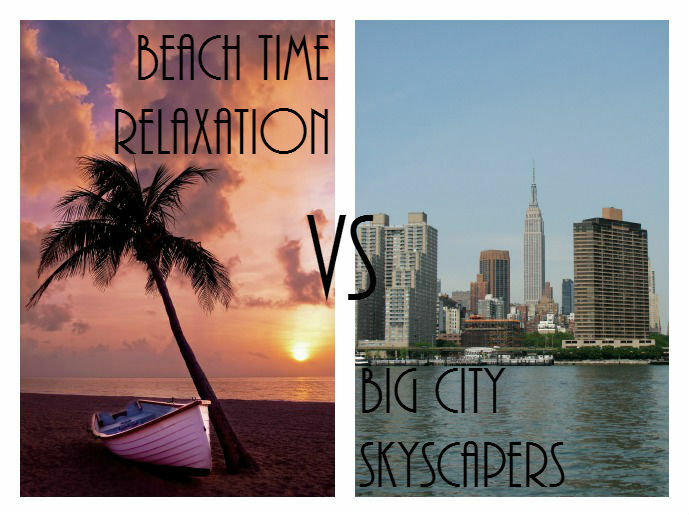 All great tips, I always struggle to decide, as I’m into relaxing on the beach, city trips, and road trips. Although I don’t have them, I also think that if you have kids it’s important to think about your needs, but also their needs as well. If you’re going on a relaxing holiday, will there be enough to entertain them for a week? Very good point Ashley. The holiday needs to suit everyone not just the planner. We work our way through the bucket list. Apart from the bucket list, we have yearly goals on places to see and activities to do, and we try to maneuver through and cross them off. That’s a great way to do it Anu. Have a list really does make that decision a lot easier. We like to travel in the shoulder seasons (spring and fall). It’s less expensive and there are fewer tourists. Great tip Mindi! This is something I like to do also. Plus the weather is usually pretty good in most places around the world at these times. This is great advice! When I plan my mini-trips (which are pretty much all I do right now), I just go to the budget airline websites and check which trips are cheapest. There are some really good sites that show you a calendar of prices too that are very helpful when you’re stuck between two places. Sometimes it can be way cheaper to go to one over the other. Great idea Jessica. I think if your really flexible you can get some great deals. It’s very difficult for us to plan our vacations most of the time. Our kids like adventurous travel, I rather be sitting on the beach. It can definitely be tough Carmen. There are however, lots of destinations that would be able to satisfy both you and your childrens travel needs. Think islands where you can relax and they can go snorkeling, try out some water sports or participate in local traditions. We have the same problem every year! We can never decide where to go. Over the last few years we alternate as to who picks where we are going and we also do one year of smaller trips and one year of big trips (gives us time to save). We normally make a list of places that we really want to go to and narrow it down by time of year. We like going away during the winter for long trips which makes it slightly easier to pick destinations. Thanks so much Samantha. It sounds like you have a great system worked out and an awesome few years coming up. Very jealous! that was a well written article I only go away in the spring and fall when im not working and I go with an area or place I have not been yet so far ive done the south, north, Midwest and this fall im going to the west. Sounds like the perfect plan Lorrie. Have a blast in the west! Great post. 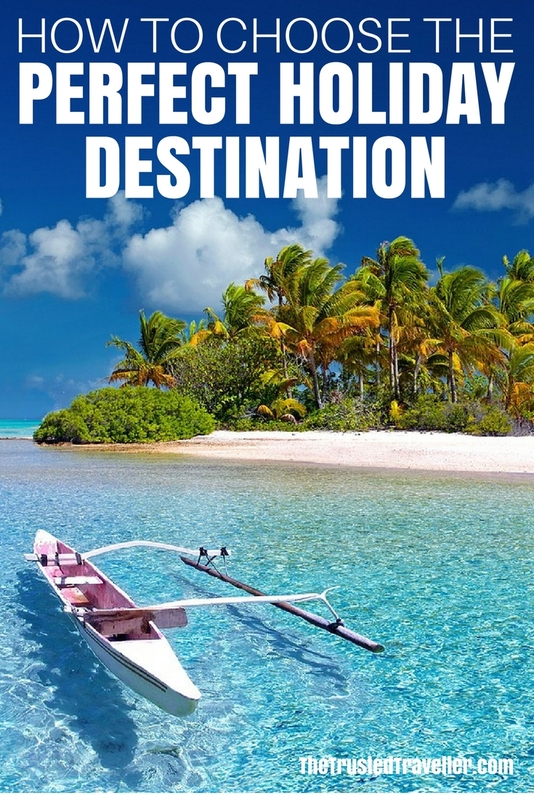 Its always great reading travel planning tips and pick up and most great ways to make the most of your budget and destination. Thanks Bianca. Glad you enjoyed the post. Great ideas and tips!! I want to go everywhere so its always hard to choose! Don’t you wish everywhere was a destination. It would make it so much simpler. Thanks! This is useful. For me, seasonality, flight routing and pricing, whether the destination is on my bucket list, whether or not presently the destination is loaded with visa headaches and bureaucracies, all play some sort of roles in my decision making. Thanks Andrew. They are all important factors to consider especially these days when things are changing so quickly. Gen, Great Post! I’m in somewhat of a different sub-set of travellers. I’m very much an addicted traveller. I’m retired, spend half the year living and travelling around North America in an RV. I then put it into storage and spend the rest of the year somewhere else out of the US. I’ve sold my home and only use my daughter’s address here as a home base. In fact, I’m heading off for the Philippines next week for a couple months then to Taiwan for a month. I took a mid-life retirement when I was 37 and travelled around the world for four years. I’ve been to just over 60 countries over the years and of all the regions in the world, I enjoy South East Asia and Central America the most. I don’t like cold weather so mostly it’s road tripping in the summer here than off to the tropics in ‘our’ winter. I follow the “trend” where people are going, then make sure I don’t go there. I’ve probably already been there anyway. I’d just like to say that when you’re retired, living outside the country is much cheaper than here. After my road tripping this summer, I’ll be heading south to Panama, Colombia and Ecuador for six months or so. To everyone, Retirement is way under-rated! But, don’t wait until you retire to satisfy your wanderlust. It’s your choise, buy things or experiences. Thank you for sharing your inspiring story Steve. It is so wonderful to see you out there living your dream lifestyle. I too am working towards a more balanced life of home with family and exploring the world. With the wonders of technology and the internet these days, it makes this dream so much more achievable. All the best to you on your travels in Asia! My wife and I have chosen to go to Italy and model our trip after your article of 16 days in Italy by train. Looks like a really good mix of fun and relaxation. Thank you for the recommendations and your writing. It is enjoyable to read. Thanks Richard! I am so happy to have helped you with your travel planning. I hope you and your wife have the loveliest time in Italy. I like what you said about considering your destination if you have to have a relaxing and peaceful holiday like choosing an island, beach or secluded mountain. My parents are planning to have a vacation next year and they are still in search of a destination. My father is a fan of cowboy movies, so I guess I will suggest my father to consider this. Thanks Andrea. If you know what you want to get out of the vacation (e.g. relaxing or see as much as possible), then narrowing down a destination gets easier. I know where I want to go. France. It is at the top of my bucket list. We have two weeks to spend. The toughest part is deciding where in France to go because there is so much to see and do. We have been reading and researching. Rather than do a whirlwind trip through the country to see more sights, we decided to spend the first four or five days in and near Paris and then head to one region to explore. The idea is to find a base (or two) and explore nearby. The real idea is to slow down some and spend some time with the people and culture. Thanks for the ideas in your blog. It helps. Sounds like a very good plan Deborah!